After the unpleasant slog that was The Decameron, I needed something that was pretty much guaranteed to entertain. 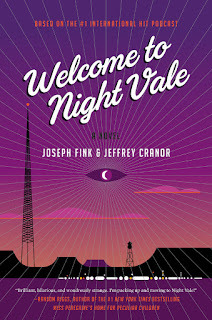 And for me, that took the form of Welcome to Night Vale, the novel spin-off of the podcast of the same name. I've been listening to the podcast for a couple of years now and have even seen one of the live shows when it came to London, so when my fiance decided to lend me his copy of the new novel, I could hardly say no. Welcome to Night Vale takes place in a sleepy American desert town, where supernatural occurrences and government conspiracies are commonplace and often feature on the local community radio. 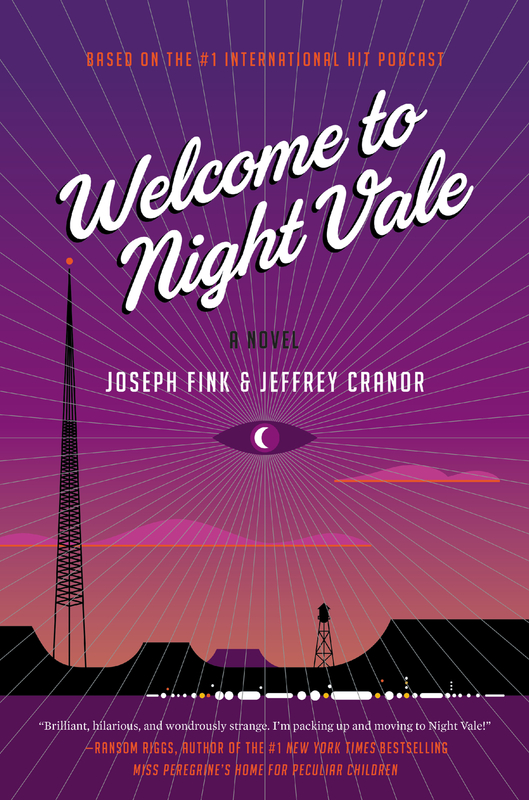 While the podcast focuses largely on the host of the local radio station, Cecil Palmer, and his close friends and family, the book takes a different tack and focuses on two of Night Vale's citizens. Firstly, there is Jackie Fierro, the proprietor of the local pawnshop whose rigid routine is interrupted when a mysterious man in a tan jacket, carrying a deerskin suitcase, gives her a piece of paper with the words "KING CITY" written on it. She goes to add it to her wares, but finds that the paper won't leave her hand, no matter what she does to try and destroy it. Secondly, there is Diane Crayton, a parent who is struggling to raise her teenage shapeshifting son by herself, when his biological father starts popping up around town and she tries desperately to prevent the two meeting. The two stories quickly intertwine in a narrative where every element is important. As I thought, this was a great change after the unpleasantness that was medieval misogyny. An installment of my favourite podcast, with two strong and complex women protagonists, and a wonderful feeling of inclusiveness. It was everything the doctor ordered really. I will say that this is the sort of book that you will either love or hate. If you've ever listened to the podcast, then you'll know which end of the scale you fall on. If you already like the series, then you'll like the novel because the novel's tone and voice carries really strongly through both formats. If you're not so keen, maybe give it a miss. As for those who haven't listened to the series thus far, the novel doesn't seem like a bad place to start. Obviously, it helps to have at least a passing knowledge of Welcome to Night Vale, as it references events that happened previously in the series, such as the incident where wheat and wheat by-products turned into snakes. But the actual level of prior knowledge needed is more or less minimal. As long as you act like a good Night Vale citizen would and just sort of run with it, then the novel flows really well and makes as much sense as anything Night Vale does. Just don't try and make sense of how time is supposed to work there, because it doesn't.